When you purchase a water ionizer, you should find a bottle of pH test reagent in the box. The test reagent is very useful as it allows you to test the performance of the alkaline or acidic output of your water ionizer. People use the pH reagent for testing purposes when they first set up their machines. Many people continue to use the test reagent for about a week or perhaps two in order to make sure their water ionizers are working properly. 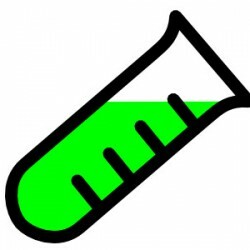 However, most people stop using the pH reagent after the initial testing period, which is a mistake. You should monitor the water produced by your machine every week or at least once per month at a minimum. It is important to test the water produced by your machine on a regular basis because the performance of many brands of water ionizers begins to diminish by a significant amount after a few weeks. Why does this happen? There is a short version and a long version to the question. I will stick to the short version because the long version requires an entire article on its own. The marketing hype in the water ionizer industry has been out of control for the past three years. Some of the bigger companies spend upwards of half a million dollars or more on Google Adwords using their review sites to convince the public that their machines are better than other brands. Advertisers boast about more plates, bigger plates, or more powerful power supply capabilities than their competitors. The advertisers have been successful in convincing potential water ionizer buyers that “Mor is Better”. Well, the reality is that more is not better. In fact, more can be less because people may end up drinking water that is too strong for their long term health. Strong alkaline water (as in water with a pH level of about 9.5) can be beneficial for the purposes of creating an initial detoxification process in your body. However, I believe, based upon my research that includes detailed discussions with experienced water ionizer industry people in Korea that most people should be drinking water with a pH of about in the 8.5 in the long term, which will be discussed in a future article. In an effort to promote the “more is better” mantra, some of the water ionizer companies “juice” their filters. By that, I mean they pack their filters with carbon along with ceramic balls that allow the filters to produce very high test results when the filters are new. Unfortunately, after about six weeks, the machines begin to produce much lower test results because the activated carbon no longer produces higher pH values on their own. At that point in time, all that is left to produce natural ionization is the ceramic balls, or some other form of mineralizing agent. Most machine owners are not aware of the lower output of their machines over time because they have already stopped testing their machines. The people that do test their machines often end up calling a company help line. They are typically told to increase the power settings. 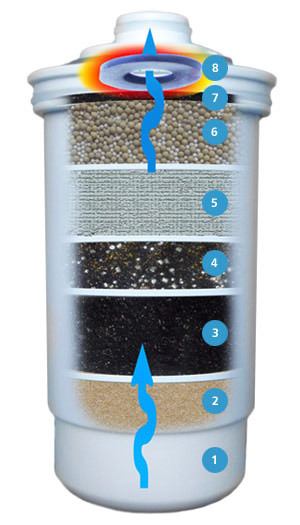 If that doesn’t work, they are usually told that they can purchase a re-mineralization filter that will add minerals to the source water before the water enters their water ionizer. Water ionizer companies continue to add more power and more plates for two primary reasons. The first reason they promote MORE plates and power is because it helps their machines perform better as the minerals that they have added in their filters wear off. When there is a shortage of minerals in the water, the machines won’t ionize as well. Companies boost the power of their machines to make up for the lack of minerals, as the extra power will extract more out of the existing minerals. The problem with boosting the power is that the extra power creates an exponential decay in the life of the platinum safety coating on the titanium plates in the ionizing chamber. The second reason the water ionizer companies like to add plates and plates and bump up the Wattage of their machines is for profit. The upgrade costs about $40, but the companies charge up to $500 more for the machine. Nice strategy! Take care of a short coming in their machine and make huge profits on the change. The performance of a water ionizer depends upon three primary factors. The factors include the condition of the source water, the amount of time that the water being ionized is in contact with the plates in the ionization chamber, and the amount of power running across the plates during ionization. The water ionizer companies have chosen the most profitable solution to improving performance by adding plates and increasing power. If the water ionizer companies took a longer term view of the industry, they would look out for the interests of their customers. However, the short sighted actions of the owners of the water ionizer companies clearly indicate that they are in the business to make as much money as they can, as fast as they can. In fact, one of the owners used those exact words during one of our discussions. Instead of adding plates and power, a much better solution would be to build more effective filters. By creating filters with more effective media that produce ionization naturally, you can dramatically improve the performance of a water ionizer. Unfortunately for the consumer, the “fast bucks” are found in the machine sales, not the filter sales. While filter sales generate high profit margins for the owners and can be a great source of long term income, the owners are typically very short sighted. I have been working with water ionizers for about 2 1/2 years. Recently, I have been doing a lot of research on the new Antioxidant Filters thanks to the “push” I received from Ian Hamilton from Australia. I have been intrigued by the Antioxidant Filters because of the results they offer and the fact that they sell for a fraction of the price. I decided to take a look at the contents of the two Tyent filters, representing water ionizer filters, and the single filter used by the Alkastream, representing Antioxidant Filters. My goal was to examine the contents of the filters to see if they would shed light on the diminishing performance of water ionizer filters over time, while Antioxidant filters seem to be the proverbial “Energizer Bunny” of the industry. The media in the filters in many of the water ionizers on the market will produce ionization on their own when they are new. They don’t need of electrolysis. In fact, many brands of water ionizers produce pH values that are too strong for the first couple of hundred liters or more when new filters are installed in a machine. Tyent uses two filters in their water ionizers. I chose to inspect the Tyent filters because the advertising claims that they are the biggest filters on the market, implying superior performance. The first Tyent filter was filled with Granulated Activated Carbon as advertised. The primary function of activated carbon is to remove the taste and odor associated with chlorine that is present in municipal source water supplies. The illustration shows a carbon block filter and granulated activated carbon, which were present. The illustration also shows distinct layers of different kinds of ceramic balls in significant quantities. Unfortunately, the actual contents of their media are much different than the illustration. The ceramic balls were mixed in with the granulated activated carbon. There were only 87 ceramic balls in the entire filter. The ceramic balls all appeared to be the same in color and size as opposed to being different as shown in the illustration. The amount of ceramic balls was very disappointing when compared to expectations. The lack of ceramics could provide an explanation for the deterioration in performance of the Tyent machines as the filters age, and the need to crank up the power. This section is not meant to bash Tyent filters. At least Tyent has some ceramic content to their filter. Chanson filters don’t offer any ceramic balls at all, which means their machines must rely upon brute power during electrolysis to produce ionization. The Alkastream Filter, representing Antioxidant Filters. Alkastream is the first Antioxidant Filter on the market. They provided 24 machines to be tested by leading researchers and retailers in the USA and Canada, and I was lucky enough to get one. When I opened up the Alkastream filter, I was pleasantly surprised to find that the contents matched the illustration that they provided in both content and quantities. Here is the illustration that Alkastream provides. When I opened the section with the ceramic balls, I counted 529 ceramic balls as opposed to the 87 ceramic balls found in the Tyent filter. I also counted plus or minus 318 infra red balls. I say plus or minus, because Stella, our Calico cat was determined to get my attention during the counting process. I also found magnesium, and about an ounce of KDF that removes heavy metals. I also found the ion resin layer and the ceramic portion on the bottom of the filter. I found the granulated activated carbon layer as advertised in the test unit, but I have been informed that the actual filters that they offer for sale have catalytic carbon. I mention this because catalytic carbon is 8 times more adsorbent than granulated activated carbon. Catalytic carbon is efficient at removing the chloramines now used by many municipalities, while granulated activated carbon is not nearly as effective. .
First off, I now understand why the Antioxidant filters work so well and why they don’t lose their ionizing power over time. Secondly, I now understand why the water ionizer filters don’t perform as well over time unless the power gets cranked up. My instincts tell me to go the natural route. That means taking advantage of natural ionization by running water across naturally occurring minerals as opposed to cranking up the electrical power to force ionization. At this point in time, the Antioxidant Filters seem like the clear winners to me in terms of consistent performance and definitely in the price of their units. Wow. Thanks Rob for the time and effort you put towards this. Excellent information. I appreciate your comment. I did put a lot of effort into the article. One of my goals for this past fall was to start doing videos of my analysis of each of the leading machines and accessory products. I didn’t get around to it as I got sidetracked by the Antioxidant Filter introduction. I hope to get to the videos in the new year. I expect big changes in the water industry in 2011. It appears that the Antioxidant filters are going to take off. That means that the water ionizer industry will likely have another very tough year. The water ionizer companies will have to respond to the challenge of the Antioxidant filters, or I suspect that a number of companies will fade out of sight. Many of the companies are already reeling from a tough economy and a vicious blow from Dr. Mercola. The public is demanding lower prices and the boys that run the industry are going to have to face the fact that the days of outrageous profits that they have enjoyed for the last few years are over. Now it is time to educate the public about the benefits of the water and deliver VALUE.